The Legacy of Bob Evans lives on in BEF refrigerated sides. 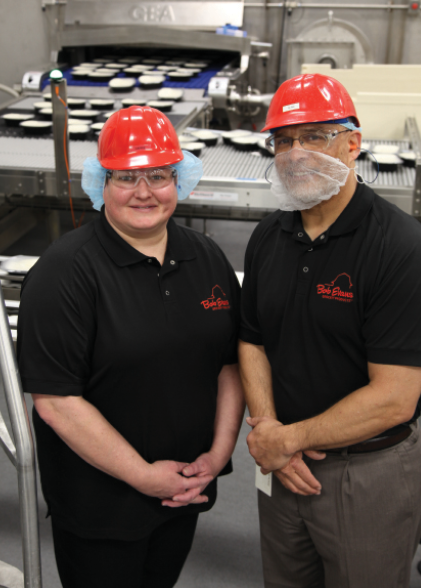 Senior Quality Assurance Manager Carrie Hart and Director of Manufacturing Operations Alan Paige keep the quality focused and consistent at the BEF Foods Lima, Ohio, plant. From Bob Evans’ 1948 founding of a 12-stool diner in Gallipolis, Ohio; through the opening of the original Bob Evans Restaurant in 1962 on his Chillicothe, Ohio, farm (which expanded into more than 500 restaurants); to the 2017 split of Bob Evans Restaurants and Bob Evans Farms (BEF) Foods businesses, consistent quality has been the essential driver and key to success. In April 2017, the company sold its restaurants to San Francisco-based Golden Gate Capital to enable it to focus on its BEF Foods business and its fastest growing category, refrigerated sides. The two businesses do, however, continue to work together, with Bob Evans Restaurants being a key customer of BEF Foods. BEF Foods also acquired Pineland Farms Potato Company (PFPC), which not only provides an in-house source of potatoes for its refrigerated mashed potatoes, but also enabled the company to acquire additional production capacity and business, as it had customers to which BEF had not been selling. 76%	Useful to have on hand when I don’t want to cook. 72%	Quicker than preparing food from scratch. 53%	Someone in my household likes them. 51%	Usually have to be on sale. 50%	I like wide variety of cuisine options. “We were well over 60% side dishes at the time of the acquisition. And if we are going to grow to a national business, it will be in growth of our side dishes, not sausage,” Townsley added. “When people think of Bob Evans, they think comfort food,” he said. And that is exactly what the company offers in its refrigerated sides including mashed potatoes, oven-baked scalloped potatoes, macaroni and cheese, and other pasta dishes. But it is comfort food that focuses on today’s consumer-driven trends — calling out the fresh aspects of the products; cleaning up the ingredients (e.g., taking out hydrogenated oils); and listing the natural, fresh, and real aspects on the packaging. BEF Foods will even include gluten-free labeling on products that are naturally gluten-free to reassure concerned consumers that the products will fit into their diets. A LEGACY OF QUALITY. 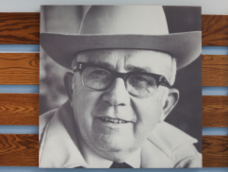 Although Bob Evans’ 2013-built corporate headquarters in New Albany, Ohio, (which continues to house both businesses in separate areas) is a far cry from Evans’ original 12-stool diner, the founder’s legacy lives on — both on the walls of the building’s Heritage Hallway and in the food produced in its four facilities. With such founder’s philosophies as “We do it right or we don’t do it”; “Quality and service to every guest”; and “Quality is long remembered after price is forgotten” establishing the roots of the business, their application has evolved to fit the changing business, with “convenience without compromise” now a key quality mantra. “It is a high-quality product that can be prepared in five minutes with ingredients that you would use yourself,” said Vice President of Operational Business Development Terry Camp. In fact, as we saw at the company’s most recently built plant in Lima, Ohio, where its refrigerated mashed potatoes and other potato and pasta sides are produced, BEF mashed potatoes contain just what home cooks have been putting in their mashed potatoes — likely since potatoes were first mashed; that is, 100% fresh potatoes, butter, milk, and seasonings. However, as is essential for food safety and shelf life, the company does add preservatives, but no artificial colors or flavors are included in the final product. BEF Foods has four production facilities: Lima, Ohio (refrigerated sides); Xenia, Ohio (fresh sausage); Hillsdale, Michigan (fresh sausage); Sulphur Springs, Texas (ready-to-eat and frozen products). Together the Michigan and Ohio plants produce 68 million pounds of fresh sausage. All BEF production facilities are BRC certified. All the facilities are registered with FDA, with some being FDA-regulated, some USDA-regulated, and some regulated by both FDA and USDA. Is 181,975 square feet with 254 employees. Has capacity to produce an annual volume of 180 million pounds of mashed potatoes, scalloped potatoes, macaroni and cheese, and various pasta dishes. Has held an A rating since starting BRC in 2014. Just completed construction of Line 4, its high-speed mashed-potato line, adding 50- to 60-million-pound capability. Even the production simulates homemade mashed potatoes — though, of course, at a much larger scale. A FOOD-SAFETY FLOW. With few ingredients and simplified production, mashed potato production doesn’t require a lot of steps for food safety issues. This is particularly true at the BEF Lima plant which was built for flow-through: to augment food safety from receiving through cleaning, peeling, cutting, mixing, and cooking to packing and shipping. Each area and line of the plant is in a separate room, accessed from a hallway which runs the length of the building, and each room, set in order of production, has dedicated workers and specific food safety garment and processing requirements. For example, the spices for the finished products are brought into the Spice Room where its workers review the schedule then repackage the ingredients into the amounts required for each recipe. Keeping supplier packaging out of productions rooms adds an extra layer of food safety protection. It also enables the plant to maintain the mix/fill area as a simulated clean room, further ensuring against potential outside contamination. Lima’s Line 4 Room, which was commissioned in late 2016 to facilitate the continuing double-digit growth of BEF refrigerated sides, continues the in-to-out flow with an enter-only door. “You can get in this way, but you can’t get out this way,” said Lima Director of Operations Alan Paige. 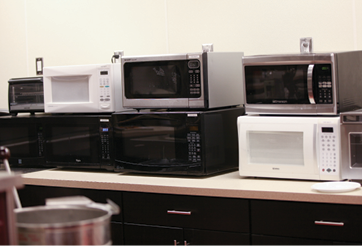 The microwavable products are tested in a variety of ovens to simulate the home environment. Additionally, at the front of the line is a diversicut cutter/slicer and visual, colorimetry inspection technology. As explained by Lima Line Lead Matthew Roode, once the potatoes are cut to the proper size for the mashed or scalloped oven-baked product, they are run under the camera which looks at everything that runs through it. In this case, if a black or brown spot, or other defect, is seen, the potato piece is automatically rejected off the line. IT’S ABOUT THE POTATOES. While a three-ingredient (plus seasonings) product may seem to have a simple recipe, complexity can arise because potatoes come in a range of varieties and from various sources. “Every potato is different depending on where it came from and whether it’s fresh or from storage,” Paige said. Potatoes can have varying levels of water or sugar, be more or less starchy, or have greater or lesser salt tolerance for which tests need to be run — and that’s before the production even begins. Thus, each variety of potato, and potentially each batch, has a separate and specific recipe based on the characteristics of the incoming potatoes. “If you control what’s coming in, you can control what’s going out,” said Lima Operations Manager Kasey Patton.As such, tests are conducted on each incoming shipment to ensure it fits the accompanying certificate of analysis (COA). Water is an essential component of the potato’s journey. Not only is it used to wash the incoming potatoes, it carries them along their journey to ensure a gentle ride. Think Lazy River: “We move potatoes with water,” Paige said. The Lima plant has 10 potato delivery bins, which, together, can hold a total of 432,000 pounds of incoming potatoes. 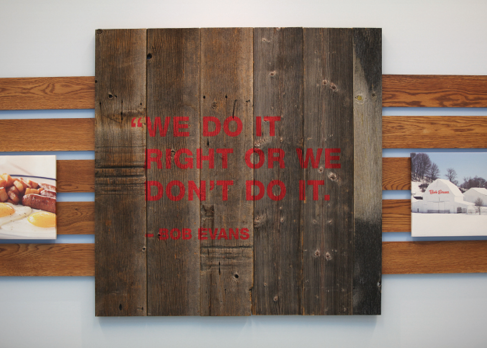 Bob Evan’s philosophies established the roots of the business and have evolved to fit the changing business. Because potatoes are a raw agricultural product, temperature control and consistency during various aspects of production are critical for food safety and quality. For example, temperature abuse can sour potatoes and hot fill of the mashed potatoes is necessary to prevent mold growth. And whether talking potatoes or pasta, which also is used for side dishes produced in the plant, “it’s always about time and temperature,” Paige said. “The product is cooked at 210°F, which can pretty much handle any microbial growth.” After that, the hot fill of the mashed potatoes is a key lethality step with the CCP set as a temperature of at least 160°F, which provides instant kill even on the trays in which the product is packaged. If the temperature is set any lower, you will not effectively reduce the bacteria load and it can continue to grow, Paige said. Once the mashed potatoes are heated and cooked at the high temperatures, they need to be chilled down to 38°F in the specified time, with each dwell time determined by the product. BEF uses two methods for chilling: air and water. Tests also are run throughout the process, with set quality controls for viscosity, allergens, salt, pH, weight, and defects (e.g., lumps, packaging leaks, etc.) of finished product. To facilitate this, each production room of the facility has a quality control table at which tests are conducted on products directly off the line. Some of the tests run by Lima Quality Assurance Technician Bev Berelsman are leak detection in which packages are submerged in water and a vacuum is drawn, with any air bubbles arising from a package indicating a faulty seal. The process also provides a check to ensure package integrity is maintained at high altitudes. Another is the salt test in which finished mashed potatoes are blended with a set amount of water and run through a specialized strainer which detects salt levels. “Bev has been doing this a long time — she can tell by taste where a potato came from and whether it’s fresh or from storage,” Paige said. Once all is said and done and stored, the goal is to turn most finished product within a couple days. “I want to be in a position with logistics of ‘I make it, you take it,’” Paige said. But with all that, mashed potatoes are still, at their heart, a fairly simple comfort food made with potatoes, dairy, and spices. “When I say it’s what you do at the house, it’s pretty much what you do at the house,” Paige said. Additionally, BEF wants its mashed potatoes to be of the quality that can be passed off as being made in the house, should the home “cook” prefer … as one person mentioned was exactly what her aunt did every Thanksgiving. And that repeat rate isn’t a coincidence. With a QA kitchen located in the center — “at the heart” — of the corporate office, the company conducts a great deal of quality testing on both its retail and restaurant products. “We put the kitchen in the center of the building, philosophically and practically, because the kitchen is at the heart of any meal,” Townsley said. Along with regular employee sensory testing, BEF also employs home-use testing, through which it provides prototypes for select consumers to take home and test, then respond by survey on various aspects of the food. To further the use of its products, the company also regularly creates new home-use recipes which it posts on its website, such as the pork chimichanga with macaroni and cheese and a sweet potato parfait, which we tested at our lunch. Those recipes are not just tested in-house, however. Rather, they too, are first provided to employees and home-use testers, both for taste of the finished product as well as ease in understanding and following the directions. The company also uses consumer complaints as a quality tool, with KPIs associated with complaint reduction at each plant. For any product for which a consumer files a complaint, especially those claiming presence of a foreign object, she said, “We work very hard to get the product returned, so we can find out what it was from.” Then, BEF follows up with the customer, providing feedback and telling him or her what was done to correct the problem. To ensure the top priorities are met, all quality department employees are required to be HACCP certified; conduct internal auditing; stay updated on BRC current versions and regulations, including FSMA; and have basic microbiology, sensory, label compliance, and advanced Listeria monocytogenes and environmental control training.